ASIA’S FIRST DESTINATION SPA, Chiva-Som Health Resort at Hua Hin, is marking its 20th anniversary by offering seven exclusive anniversary packages. The original pioneer in the world of destination health spas, Chiva-Som utilizes a unique blend of Western practices and Eastern philosophies to help guests develop healthy habits and achieve dramatic lifestyle transformations. Chiva-Som’s personalized menu of services includes more than 200 fitness, physiotherapy, holistic, medi-spa and spa therapies aimed at helping guests restore, rejuvenate and redirect healthy energy. Each of the seven individually-tailored anniversary packages is carefully designed with specific treatments and services to help achieve guests’ individual objectives and goals. Each package also includes Chiva-Som’s most popular signature treatments and services in lieu of a daily massage. The Life Change: This package is perfect for those who are looking for a combination of an emotional and physical detox alongside a fitness improvement. 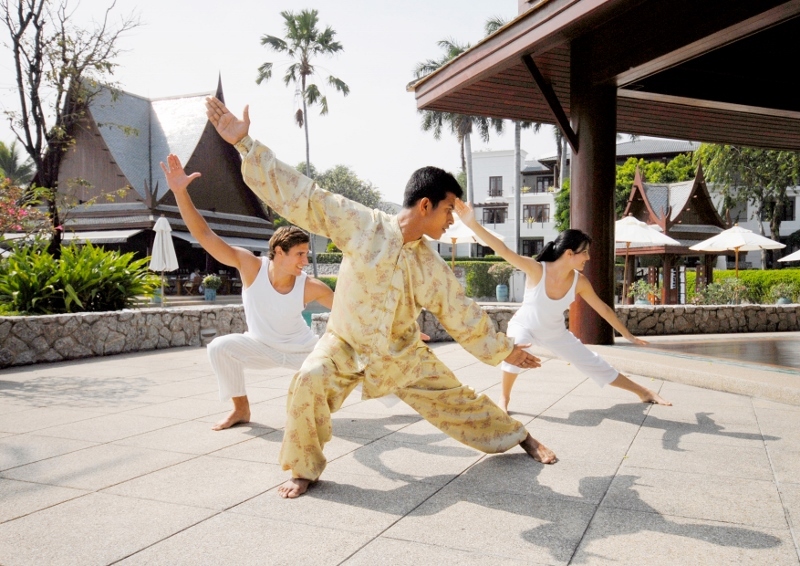 Included are a choice of personalized exercise methods, including Pilates, re-functional exercise and personal training. Guests’ bodies are cleansed through treatments designed to spur the detoxifying process at both a physical and emotional level, and includes Aquatic Therapy Watsu, Crystal Massage, Chi Nei Tsang and Colonic Hydrotherapy. Stress Cleanse: Guests who find themselves suffering from physical or emotional stress will find respite in this package. Whether to maintain mind or body, Chiva-Som will provide selected treatments targeted at eliminating anxiety, including super stretch, stress release Therapy and Oriental scalp massage. Fitness Challenger Week: Aimed at guests who work out regularly but want to progress to a higher level, ensuring their personal fitness programs remain effective and relevant. This retreat will challenge guests, set new benchmarks, and keep them active with a comprehensive fitness week that will work almost every muscle in the body, helping gain and improve stamina, strength and stability. Short Break Cleanse: This three-night package is ideal for those who would like to experience a full detox program on a short stay, as well as enjoy the benefits of therapeutic massage. It is designed to introduce and support the detoxing process, with treatments such as Chi Nei Tsang, Colonic Hydrotherapy and Deep Tissue Massage for additional effect and benefits. Weight Rebalance for Men: A weight rebalancing experience specifically geared toward male guests, designed to motivate, support and inspire results through treatments, exercises, balanced nutrition and personal training sessions. Body Shape for Women: A focused weight and shaping package for female guests, aimed at helping motivate and inspire to achieve exceptional results through treatments, exercise, diet and training. The Detox Formula: Designed for those looking to re-set mind and body with an intensive detox program. This highly focused package includes an Oxidative Stress Test, Shirobhyanga, Dynamic Core Exercise and Accelerated Body Shaping, all working together to ensure the detox process gets results and improves the guests’ physical and emotional well-being. For more information, call 66(0) 32 536 536 or email reservation@chivasom.com.